With the Halloween treasures put away, Fall decor is officially here! 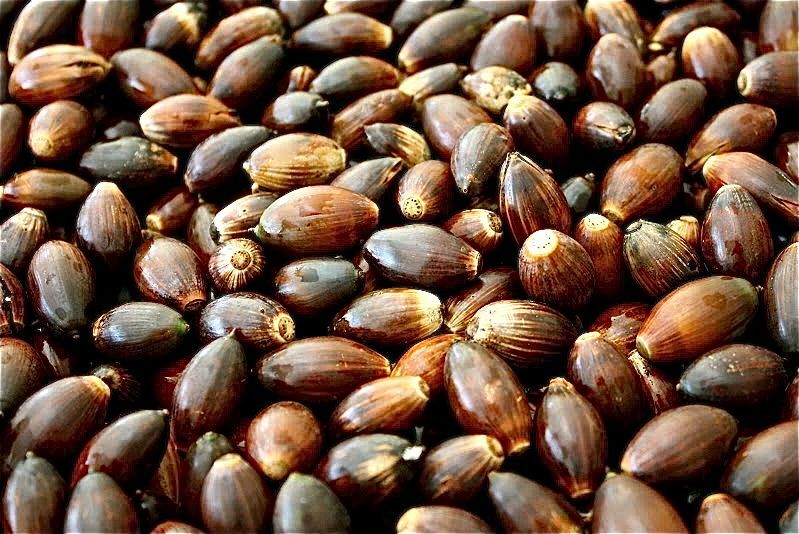 So how about a post devoted to Acorns and Acorny ideas? 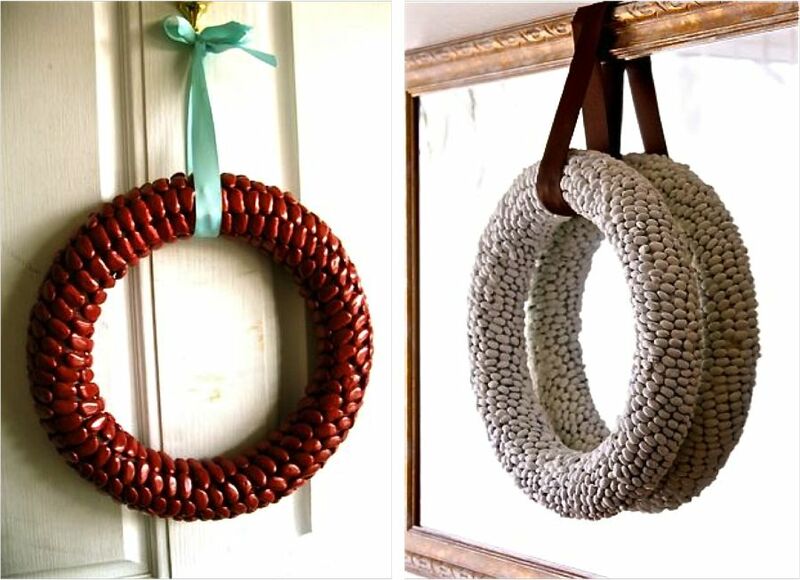 Last year I fell in love with making my Acorn Wreath, spraying it different colors throughout the year. I was a bit sad the day I dropped it and had to toss it in the can. But hey, it had a good life. And I’ve been thinking about that silly wreath lately because Acorns are EVERYWHERE right now. I can’t walk in the park without crunching a few under my feet. So if you’re going to gather Acorns, NOW is the time! 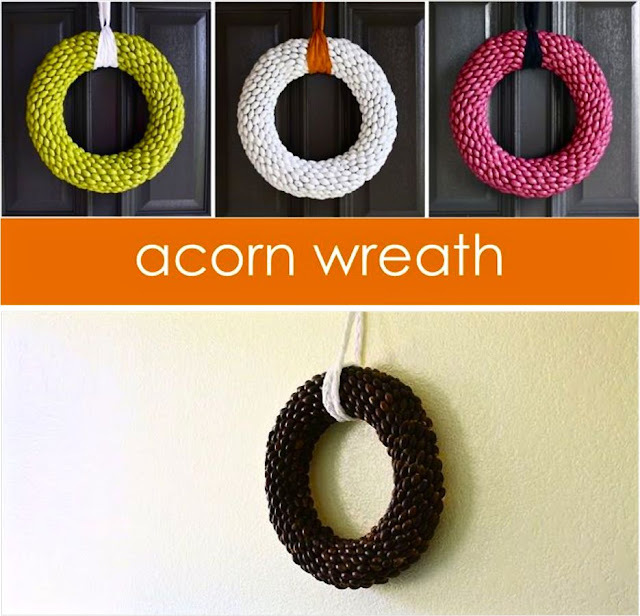 There are more details in the Acorn Wreath Tutorial but just a quick word of warning here. After gathering, MAKE SURE YOU BAKE THEM. It’s real gross to find little creatures squirming their way out. And I just can’t seem to get this image out of my mind. 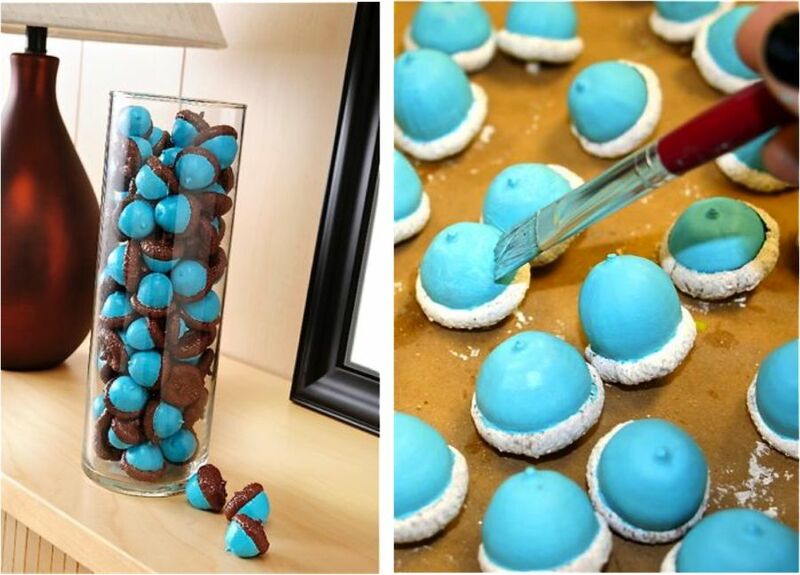 They almost look like candy and I almost want to make them (just not sure I have the patience). 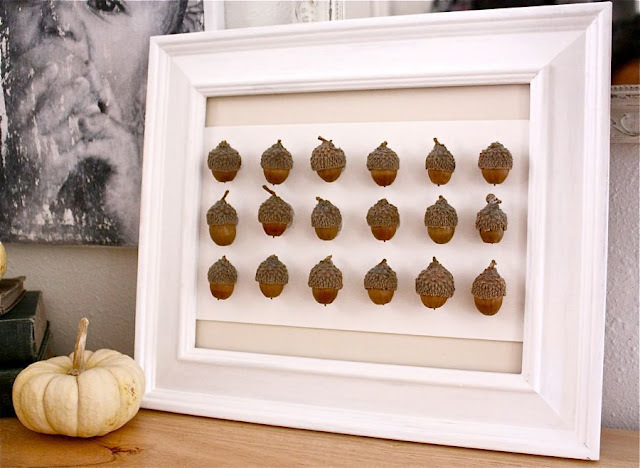 Check out Amy’s Painted and Podged Acorns at Mod Podge Rocks. Gorgeous. Want more? 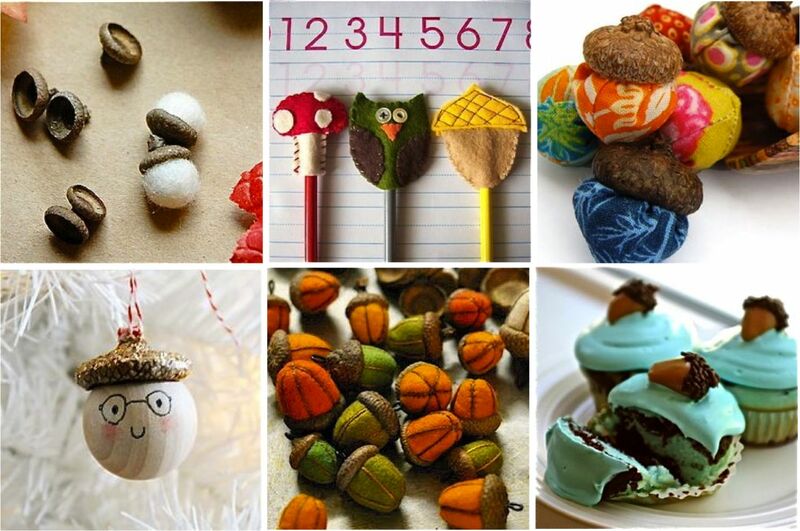 We must all be nutty over acorns because I did an online image search under “Acorn Tutorial” and was amazed at the amount of ideas. 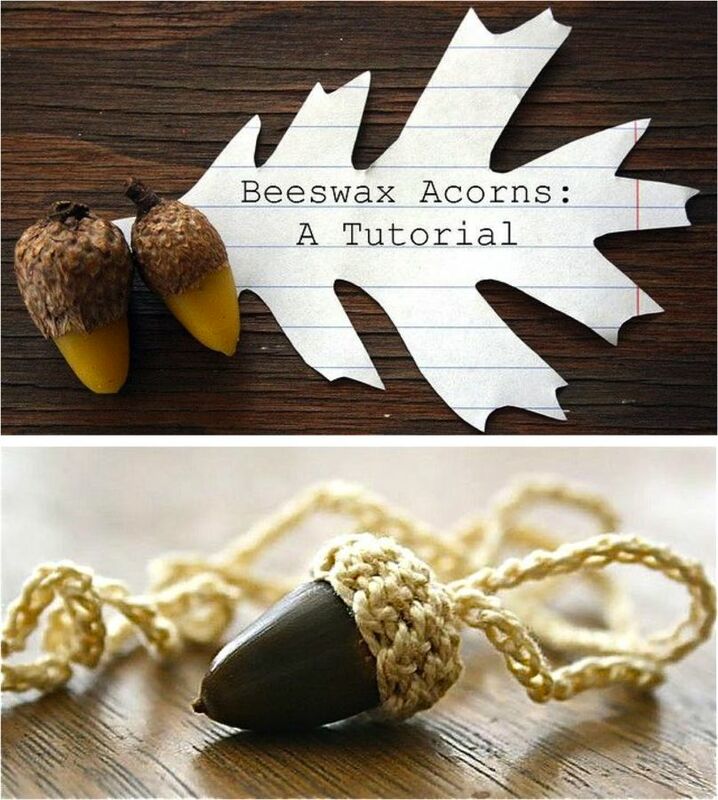 Beeswax Acorns and a Crocheted Capped Acorn Necklace, both from the lovely site A Foothill Home Companion. Where have a I been? Oh that site is pretty! A beautiful Acorn Art display by Delia Creates. She can do no wrong in my book. Felted Acorns from pen n’ paperflowers via Half Baked. 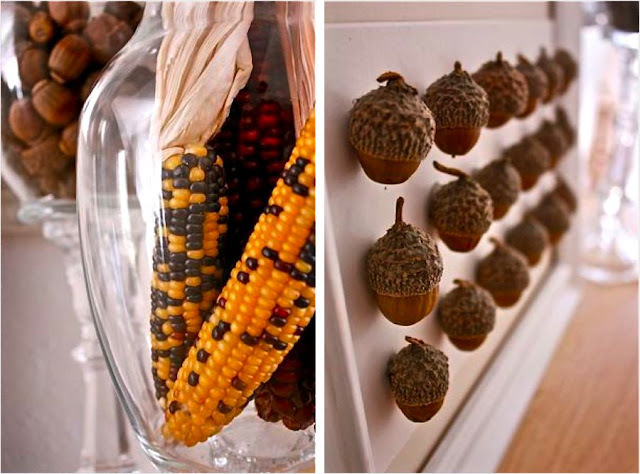 And that’s an Acorn Roundup. So head over to the park this afternoon and get your kids gathering! 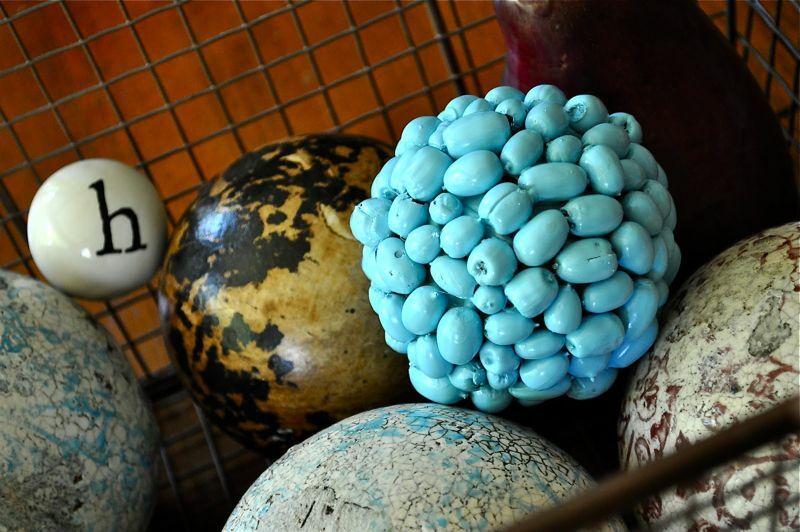 They’ll have no idea you’ve got a vested interest in their play time.